The Windows community has always had the worst impression about the Norton Antivirus products due to the reported high RAM and high CPU usage of the software. The ccsvchst.exe is one of such process from the software manufacturer that does no good to its reputation. Ccsvchst is one the thread processes of the Norton Antivirus. The core functioning of this process is to check for updates and monitor them continuously so that the antivirus application runs effectively. It is called automatically every time you start your system and if you do not have a plug and play Internet connection you might witness slow performance of your system during startup. It is definitely not a virus which you think might have infected your system. 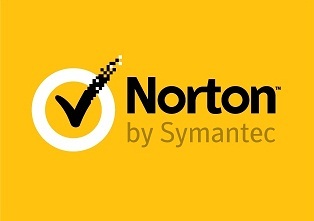 The process file comes with verified digital signature of Norton and is a mandatory process suggested by the antivirus developers. If you have try to kill this process from the Task manager you will see the access denied message as the parent process will not allow it. In order to get rid of this process you will have to uninstall the antivirus completely, which is obviously not a legitimate solution. If you have just installed NIS 2012 and see this problem, make sure that you have a live Internet connection ready to update the software. Almost all Norton products require proper update after first install to ensure that the installed system is fully protected. The program runs the ccsvchst.exe to collect all necessary information and check for updates with the associated requirements to avoid High CPU usage. It has been observed under most reported conditions users are using a pirated version of the program and do not want to get it updated fearing detection from the Norton update centre. If you really want to use Norton and wish to get it work effectively, you will have to update it, at least once to finalize the configuration process. It is very immature to see that many users keep more than one antivirus in their system. They start to panic as soon as they encounter high CPU usage. If you are using a Norton antivirus or Internet security make sure you uninstall the previously installed AV program. All Antivirus algorithms are designed to detect processes of another antivirus as a virus which is quite normal since they require root access to your system. Now when ccsvchst.exe is blocked by the other program, Norton is unable to free this process and in the due course encounters High CPU usage. So if you want to use Norton it is advisable to remove the other Antivirus program. Now update the virus definition and run a full scan of your system to make sure your system is fully protected. NIS 2012 has some major issues with ccsvchst.exe execution. The system requirements are very high and it needs uninterrupted Internet connection for real time definition updates and activate zero day threat protection. To make sure I was not wrong about it I contacted the Norton community to discuss the solution and they finally asked me to roll back to the NIS 2011 version. This was a big disappointment for me and I hope our users will also be feeling the same after reading this. You cannot remove this process individually without removing the complete Norton product. You can download Norton Removal tool and choose to remove Norton products easily. Removing Norton software from the control panel is not advisable as it leaves some traces in the registry and some directory in the program files folder. Using the removal tool ensures that no trace of the program is left in your system. This entry was posted in Anti-Virus and tagged Process on June 27, 2012 by Abhinab.